The holidays are a time filled with joy, excitement, nostalgia, and fun. Many people look forward to and prepare for them for weeks or even months. Then, suddenly, they are over. It is normal to feel as though something is missing during this transitional period after Christmas, and you may even notice that your aging parent is experiencing some sadness and even depressed symptoms. If your aging parent or you are experiencing post-holiday blues, addressing them effectively is important for helping you cope and move forward so that you can enjoy what the new year has to bring. Plan something fun. A big part of the time after the holidays feeling sad and unfulfilling is that your social calendar may look suddenly bare and lonely. You have gone from a time when you are constantly thinking of events, gatherings, and parties to one when you are likely not doing very much or seeing very many people. Sit down with your parent and plan something fun and exciting for the two of you to do together. This could be a special meal out, going to a movie, or even a quick getaway. This will give you something to look forward to so that you can get out of the slump. Get laughing. Studies have proven that laughing actually does make you feel better. When you smile or laugh, your brain releases chemicals that produce a feeling of calm and happiness. This means that even if you are not feeling very positive and happy, getting in a good laugh can help to create that feeling for you so that you can work toward finding ways to maintain it. Put in your favorite funny movie, listen to standup comedy, or share funny stories with your parent and encourage them to do the same. Get healthy. Between the treats, heavy meals, special beverages, and longer times spent indoors, it is no wonder that many people are not feeling at their healthiest when the holidays draw to a close. This can lead to even greater depressed feelings. Encourage your parent to get healthier by focusing on whole foods, getting plenty of sleep, staying hydrated, and finding ways to be physically active every day. This will make your body feel better, which will in turn give you a mental and emotional boost. Starting elder care for your aging parent is a fantastic way to help them make the most of the new year ahead of them. An elderly home care services provider can be with your aging parent on a schedule that is right for them and for you, ensuring that their needs are met but also that they are able to stay active, engaged in the world around them, and exploring ways to make their lives fulfilling and enjoyable as they age in place. 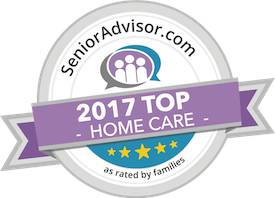 It is important to keep in mind that elder care is not just for seniors who are very old or who are dealing with extensive needs and challenges. While the highly personalized services of an elderly home care services provider can certainly help these seniors, these services are also ideal for those who just need a little bit of help but could also benefit greatly from companionship, support, transportation, and increased activity. Have questions about Elder Care in Lahaina? Contact the caring staff at All Care Hawaii today. Call Oahu (808) 206-8409 or Maui (808) 664-3853. Call us 24 hours a day, 7 days a week!